A Beginners Guide To Road Cycling is an expansion of a blog I wrote back in 2012 about buying my first bike. The information might be useful to anybody who, like me, is new to the sport and doesn’t yet understand the many nuances. Firstly, road cycling is not for everybody, this can be for a variety of reasons, as some find pounding the roads boring or just plain dangerous, I guess it depends on where you will be cycling. However, if you fancy giving it a go my first suggestion would be to hold on to your cash and have a cycle on the road on your existing bike, if you have one, just to give yourself a taste of what its like. (b) I enjoyed cycling on the road and although the traffic bothered me, there were plenty of quiet roads in the rural area in which I live to have a relatively safe ride, although there is no compensating for some drivers, unfortunately. (c) If I was going to increase the mileage I’d have to either upgrade my mountain bike tyres to slicks or buy a new bike, more suitable for road use. These bikes were designed for off road use, they have specific gearing for cycling off the beaten track. Mountain bikes tend to be heavy and come with a variety of suspension systems, all of no use and a hindrance when cycling on the road. If you plan to ride exclusively on the road then this is not the bike for you. 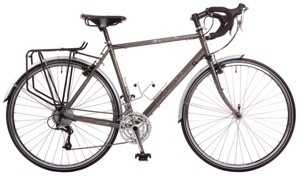 These are designed to offer a half way house between a road bike and a mountain bike, some Hybrids come with front suspension, the gearing is likely to be more Mountain bike specific, as is the geometry, but the tyres are much thinner and the frames less robust and lighter, so they are more suited to use on the road than a mountain bike. Hybrids are a cheaper alternative to a road bike, but remember that you get what you pay for and cheap is very rarely better! This is the type of bike you would require if you planned to do some riding off road on light trails and on the road doing short to medium distances, a good choice if you’re on a budget. These bikes are essentially an off road ‘road’ bike, to the uninitiated there isn’t much difference between a cyclocross bike and a road bike, however on closer inspection the frames are more robust, able to take larger section tyres, mud guards, the gears are a mix of road cycle shifters with mountain bike cassettes and usually have v-brakes (a brake system typically found on budget level or older mountain bikes, which gives greater clearance around the tyre) or disk brakes. Cyclocross bikes have the geometry of a road bike, with the wheels of a hybrid, their frames are light like a road bike and tend to be quite expensive due to their scarcity. A Cyclocross bike would suit somebody wishing to do a bit of road cycling as well as off road cycling, a good all round choice if you have the cash to spare. Touring bikes look very much like a road bike, but are really more like a hybrid with drop handlebars, with components including larger chain rings and typically come with mudguards and rear carriers to make space for panniers. These bikes also have slightly wider section wheels, much like a hybrid, with typically heavier frames making these a more sluggish road bike. Touring bikes are an ideal choice if you are planning any epic rides which require comfort as well as speed. Back in the day we called these bikes ‘racers’, however recently they have had a pr makeover and we have to call them ‘road bikes’. As the name suggests, these bikes are designed solely for use on the road, with drop handlebars, light frames, thin slick tyres and typically integrated gears and brakes. 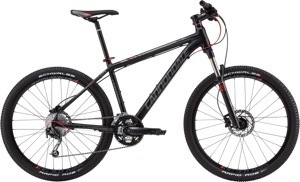 The prices range depending upon components, with a bike to suit most budgets. These bikes are the real deal if you yearn to ride hard and fast on smooth(ish) tarmac. (i) Frame/ Mini Pump or CO2 Gas Pump: Essential for road side repair, don’t leave home without one or face a long walk home. (ii) Track Pump: A bike specific pump to keep at home to keep your tyres pumped up. (iii) Puncture Repair Kit: Tradition kits or self adhesive ‘scabs’ can be bought. (iv) Saddle Bag: Small bag to keep under your seat and store essential items. (v) Multi Tool: The bike version of the Swiss Army Knife, includes Allen Keys, Screw Drivers and Tyre Levers. (vi) Spare Inner Tube: Not all punctures can be repaired or it could be cold or wet, so keep at least one spare tube with you. (vii) Lock: No matter where you are lock up your bike! (viii) Bottle Cage & Bottle: Remember to keep hydrated on your ride. (ix) Lights: Essential if riding in the dark. (x) Helmet: Not always popular, but better to be safe than sorry. (i) Lycra Padded Shorts / Bib Shorts: An essential for long rides to protect yourself and keep comfortable. I have both, but in my opinion if you have the money buy bib shorts as they are far more comfortable. (ii) Jersey: These come in all shapes and sizes, but most roadies go with tight tops with three pockets at the back to keep some of the essentials listed above. I prefer the baggier cool max type shirts with pockets. (iii) Jacket: Cycling even in warm weather can be cold, so consider a light packable jacket to help shield from the wind or occasional rain. Also consider Hi-Viz for safety. (iv) Clipless Pedals: Most beginners start with toe clip pedals, I did and still do on my mountain bike, but I have switched to Shimano SPD’s on my road bike, a revelation and worth a blog in its own right! Initially I put all of my effort into finding a road bike, I looked at the different manufacturers, the group sets, set up etc… So it’s no surprise that this was time well spent and my bike fits me like a glove, it’s comfortable and has a great riding position. 2. Frame Material: The cheapest frames are made from Aluminium, it’s a light material and will take a good knock or two, so if your new to the road these are the type of bikes you should be looking at. Carbon is another popular material, it’s an extremely light material, but is prone to damage, I’ve seen one snapped in two from a crash at a Criterium, not forgetting that carbon bikes are also expensive. Other materials include Steel, which is a bit of a retro material, but will be strong and stiff. Bamboo and Titanium are also used, but are specialist products and can be expensive. Shimano: 2200, 2300, Claris, Sora, Tiagra, 105, Ultegra, Ultegra Di2, Dura-Ace & Dura-Ace Di2. SRAM: Apex, Rival, Force, Force 22, Black Red, Red & Red 22. Campagnolo: Veloce, Centaur, Athena, Chorus, Record, Super Record, Athena EPS, Record EPS & Super Record EPS. When choosing a bike, the group set is what will make the major price difference, as typically the same manufacturer will produce a frame with basic up to expert group sets e.g. 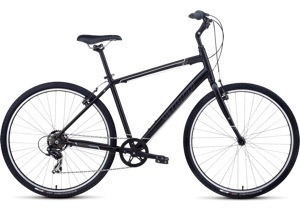 My bike is the Cannondale Synapse and can be bought in Shimano 2300, Sora, Tiagra or 105. I have never had an issue with Shimano and the advice I was given, as a beginner on a budget, was to choose something which you can afford to maintain, so I went with Shimano, everybody stocks the spares and I know the brand, others may disagree. * It is worth taking into consideration that some cheaper group sets, such as Shimano 2200, 2300, Claris & Sora (pre 2012) have the gears on or near the top of the handle bars, much like a mini version of a mountain bike, this might suit some people transferring from a MTB to a road bike. The majority of the mid to high value group sets have the gears integrated with the brake levers, this is radically different from the gears used on other types of bike, but after a few rides it makes perfect sense. A Triple Crank Set consists of three front rings and has the widest range of gears / ratio combinations. A Double Crank Set, the elite riders choice, but less common these days, have just two front rings and less ratio combinations than a Triple. A Compact Crank Set consists of two front rings, and is a compromise between a tradition double and triple crank set. The gear ratios vary, but typically a compact covers the same range as a triple. I chose to go with a compact because the majority of my riding is on the flat with low level hills, so no need for a ‘granny cog’. Having said that my Compact came with a 12-26 (12 teeth on the smallest cog & 26 teeth on the largest) rear cassette, which I found too tough to turn on steep climbs, so I opted for an 11-28 after a few months of riding. 5. Riding Position**: Road bikes typically come in two set ups, race or sportive, the latter being more upright. It depends on your preference, but most of my riding is for leisure so it made sense to go with a sportive bike. ** Bike Fitting: If this is your first road bike I would suggest either buying from a LBS who offer a bike fitting service or just pay for a bike fitting, many LBS’s offer this service and it can make a huge difference to your comfort and enjoyment. Alternatively the Internet is full of companies offering professional bike fitting, these range from YouTube based instruction videos to manufacturers like Specialized via their concept store network. 1. New Bike: Choose from the manufacturers current range, this will give you your hearts desire, but you will also pay top dollar with few, if any, discounts available. 2. New Previous Year Models: Less choice and you may need to compromise, but many manufacturers don’t change frames or spec from year to year, so the only difference between these and a current year model might be the paint job or different stickers, do your research because this is where bargains can be found. 3. Second Hand: Buyer beware, used bikes are a lucky dip and you could end up with a lemon, yet on the other hand you might find a hidden gem. If you go with this option make sure you know what you are looking for and try before you buy, otherwise you might end up with a hefty repair bill. A good local bike shop deserves to be supported, they are a great place to begin your search and will be able to advise you on your options. Be warned that in general LBS are expensive in comparison with buying other ways so your budget might not go as far, but with a good LBS you are getting more than a bike, you will also get access to a proper bike fitting and more than likely a free first service, if you ask nicely! Ask friends, colleagues or local cycling clubs for their recommended LBS and give them a try, sometimes you get lucky and they might be able to sort out a discount. There are a few high street names which spring to mind and they are worth a try, such as Halfords and Evans, the later being a specialist in cycling so can offer more of a choice of the leading brands, whereas Halfords usually have a selection to suit most budgets. The internet is awash with retailers selling bikes and equipment, some offering huge discounts on the rrp of new bikes, so this is possibly the place where you are most likely to get the best deal. The pay off is that you won’t get to try before you buy, so unless you are sure of what bike you are looking for, along with the size, then this is certainly a case of ‘buyer beware’. Typically the place to try if you want to pick up a second hand bargain, however in my experience the savings don’t out way the potential risks of buying a used bike. Remember that these sites are for private listings, therefore unless you contact the seller before hand, you may not be able to see what you are buying until you have won a bid. This, in my opinion, is a high risk option for buying your first bike and you could well end up with a lemon. Much like the Internet auction sites, this is an option if you would like a second hand bargain, but with the advantage of this being a private transaction and not based on winning any bids. The main advantage of classifieds is that you will get to see what you are buying and try before you buy, the disadvantage being that this is typically a more expensive way of buying second hand, but not always. 1. If you are going to buy from a LBS or National Retailer, then don’t be terribly British about buying a bike, these things are expensive and the majority of retailers will have marked up their prices by up to 35% above rrp, so ask for discount! What is the worst that can happen? If the answer is No, then walk away and try somewhere else, we are in a recession and its a buyers market. 2. If you really don’t like haggling over money then ask for some sweeteners to make the deal more palatable, such as a new helmet, lights, saddle bag, pump etc… Again, the worst that can happen is a No! 3. If it is available, consider buying through your workplace ‘Cycle to Work Scheme‘. This is a tax saving way of buying a bike and most major retailers run schemes giving an opportunity to buy a bike and equipment up to £1000. 4. If you plan to buy from an Internet Retailer, don’t jump too soon, choose what bikes you’d be interested in buying and then keep an eye on their prices. Most retailers have several sales each year and its worth waiting for your chosen bikes to be discounted. 5. Again, if planning on buying from an Internet Retailer, sign up for their news letters and email lists, every now and again the retailers send discount codes, as I write this Evans have just sent me two codes for 10% & 15% off accessories and clothing. Now and again these codes apply to bikes, so check the small print. 6. If you have taken the decision to buy online, think about buying through a cash back site, I use Quidco, it may be worth a look to see what discounts are available. 7. A great tip is go look for ‘up and coming’ bike brands who either offer their bikes at larger discounts to get established in a competitive market, or who over specify their lower end models, so you get more for your money. 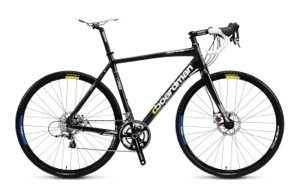 Examples of manufacturers who have done this recently include Boardman Bikes and Canyon, they are now both established, so their model specs have altered, but keep you eye on the cycling press for emerging companies. 8. 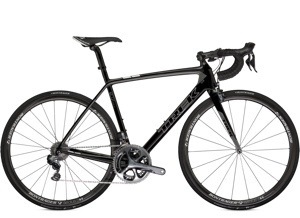 Finally, consider having a bike built, it might sound crazy, but both Dolan and Ribble offer really well specified bikes at surprisingly low prices. Hopefully there is enough information to give you a start, remember to only spend what you can afford, as there no need to blow your budget, after all your first bike is rarely your last bike, so most of all enjoy your cycling. For notifications of new blogs and updates follow @sensisuperstar on Twitter. This entry was posted in Beginners Guides, Cycling and tagged A Beginners Guide To Buying a Road Bike, bicycle buying guide, bike buyers guide, boardman, buying a bike, buying guide, Cannondale, canyon, cycling, cycling for beginners, cyclocross, Dawes, Evans, giant, Halfords, hybrid, lbs, mountain, Quidco, racer, road bike, road bike buying guide, sensisuperstar, tourer, Trek, wiggle. Bookmark the permalink. Thanks Hugh, I’m glad you liked the blog. I wrote the guide so that the layman can find it informative, which is what I am. I don’t know the intricacies of the sport, and its equipment, and search as I might I could not find answers to the questions I had without asking the ‘experts’, and in some cases, feeling stupid when asking, so I thought I would write down what I had found out. I too was tempted by the Ribble Audax / Dolan Preffisio, they are solid bikes and great value, it just so happened that I found a Cannondale Synapse at the right price at the right time. In hindsight I should have asked visitors to the blog to list their first bikes to show beginners that you don’t have to spend lots of money to get into the sport. Thanks for reading the blog and leaving a comment. Not everyone takes to road cycling at first, but from my experience people will spend top dollar on a bike and neglect spending on decent kit, such as bib shorts with a good chamois or even a different saddle, so keep this in mind before doing too many miles! Happy cycling and I hope you enjoy your new bike. this one was very comprehensive, kudos!